Today, George Ross and Micah Millican join us to talk about how college students can act as a catalyst for church planting with summer programs and Send Cities. Micah Millican is the director of church planting relations for NAMB and George Ross is a SEND missionary in New Orleans. A missions opportunity for college students to go with a church planting team for six weeks and help advance a church plant or existing church. Send cities are areas with the greatest need of churches due to church to population and other factors. The cities are important because culture come out of the city to the surrounding area. Reaching cities also helps reach internationally because international students often come to larger cities. Guiding students to other ministries is important. To reach cities and the world we must view each individual as a missionary who is reaching out to the community God has put them in. Talk to your students about relocating to an area they may feel God calling them to. There are many different Send Cities that students could go to (32 total). Ask them: Where can you make the most impact for the Gospel? 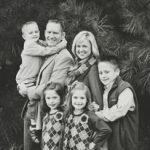 George and his family serve with the North American Mission Board as the SEND City Missionaries in the great city of New Orleans. 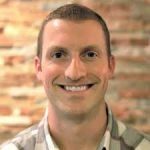 Presently Micah serves as the Director of Church Planter Care for the North American Mission Board (NAMB). His role is to oversee the “Planter Care Ministry” of the Send Network.